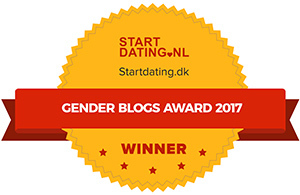 The results are in and 9 out of 10 voters selected Femulate to be the winner of the 2017 Gender Blogs Awards! The 11th anniversary of this blog is February 5. Who would have thought, certainly not me, that the blog would still be going strong after all these years? After one year, Femulate averaged 500 hits per day. After two years, 1500 hits per day. Then the hit count exploded and since that time, the blog has averaged over 5,000 hits per day, which is saying something! CONGRATULATIONS! Time to shop for a new gown for the Awards Presentation Event! I wrote this comment using the Microsoft Edge iOS Browser and it did allow me to post using my Google girl account. So, apparently Google can’t handle switching between 2 Google email accounts in their own Chrome browser, while the switch was easy using a Microsoft iOS browser. To steal an often-used Stana phrase ... “Go figure”! Mazel tov! You are an inspiration and entirely meriting of the recognition. I use femulate.org as a launch pad. I first read your daily article, then scroll down to your "My Blog List" and see what else is interesting that I wish to read. 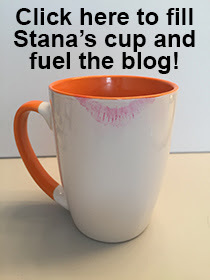 This way I only have to know one URL... femulate.org Cheers Stana! Wonderful news and well deserved, my dear friend! Bravo, Well deserved. Wonderful site, Motor City fan.